Ross is a Chemical Dependency Counselor and life coach with over 10 years of experience in the field of addiction. He opened Rebos Treatment Center in Los Angeles 6 years ago. Ross Remien has been working in the addiction field for over 10 years. Ross is the Founder and CEO of the Rebos Treatment Centers in Los Angeles California. He is an award-winning counselor, radio show host, and bestselling author. Ross has treated thousands of individuals from all over the world. Including Moscow, Shanghai, Taipei, Australia, Saudi Arabia, and Ireland. His new book Maximum Strength is a fresh new look on the treatment industry. 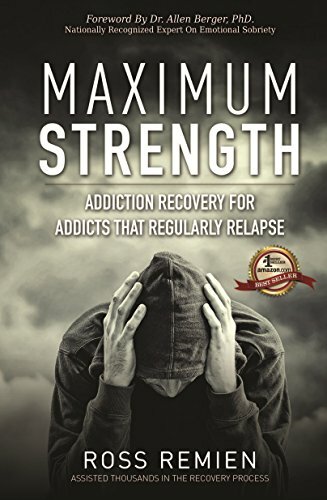 Maximum Strength tells individuals and families what they can do to fight addiction and how to navigate the difficult process. Ross has a unique view of the treatment process. While other treatment centers take a traditional, one-size-fits-all approach, Ross sees each client as an individual. No one’s story is the same so no one’s treatment should be the same. That’s why the treatment industry fails so many. While helping as many people as possible receive exceptional treatment, Ross strives to change the industry from within on a local, country, and worldwide level.